First let's talk about sweet pup Ralph. He's crazy and floofy and freaking adorable. He spent the first 10 minutes smelling every blade of grass and dragging Jeff all over the park while Nicole and I caught up. Ralphy is so cute and I just want to hug his furry body forever. OKAY. Now for Nicole and Jeff: they're great too. 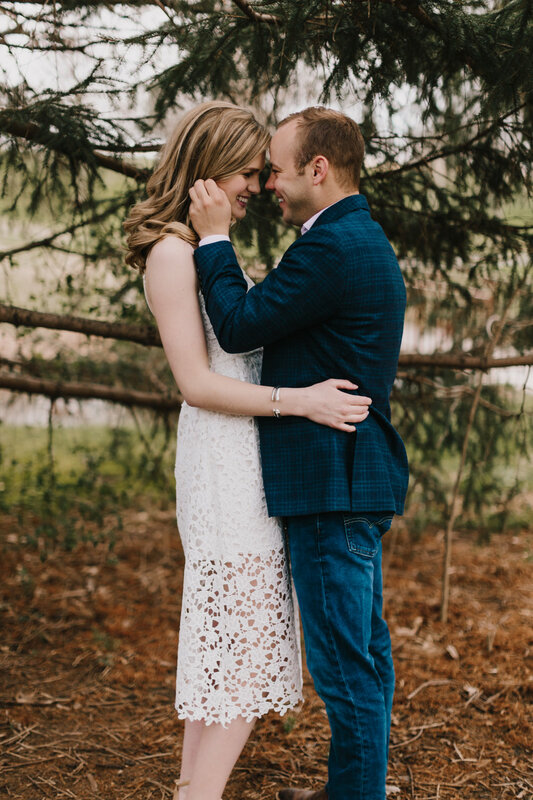 This session was so much fun because I got to know them as a couple. They're sarcastic and silly and we totally get along. I mean--they shared their champagne with me in between locations. I can't wait for their wedding this August!!! Want info about booking? Contact me here!